As we head into the summer months we are seeing a healthy jump in inventory in our area. In May, we saw the biggest jump in new listings in a decade! Price appreciation has created this phenomenon, motivating many people to make big moves with their equity. In fact, prices are up 11% year-over-year. We currently sit at 1.5 months of inventory based on pending sales. This more-equal balance of homes for sale compared to the first quarter has created great opportunities for buyers, finally! While it is still a seller’s market, it has eased up a bit. The average days on market in June was 19 days and the average list-to-sale price ratio was 101%. 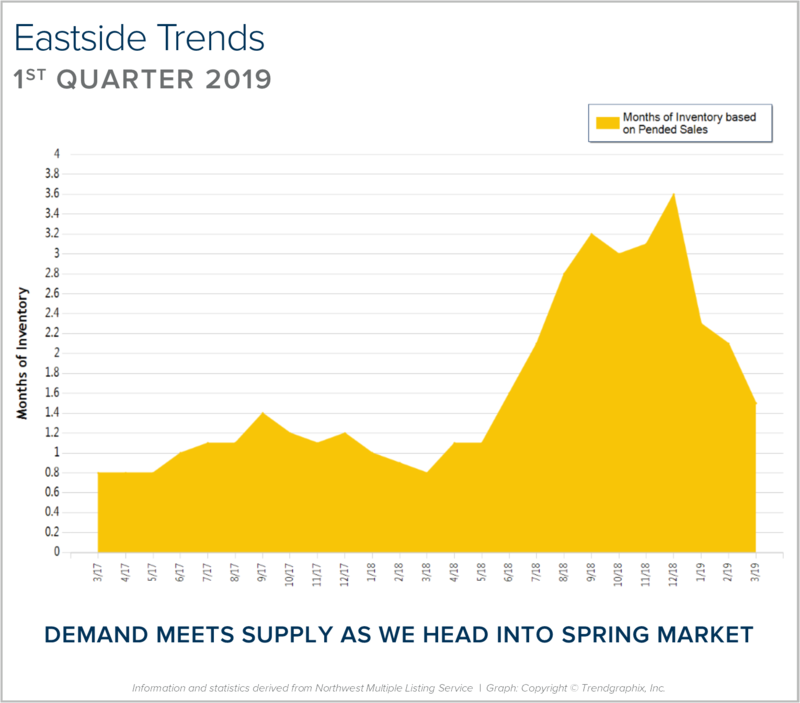 Eastside real estate has a very high premium due to close-in commute times, great neighborhoods and strong school districts. In fact, the median price in June was $980,000. Sellers are enjoying great returns due to buyers choosing to lay down roots in our area, and buyers are securing mortgages with minor debt service due to low interest rates. The easing of inventory is a welcome change and is helping to temper price growth. The Fourth of July is right around the corner. With it being on a Wednesday, keeping it local makes sense. 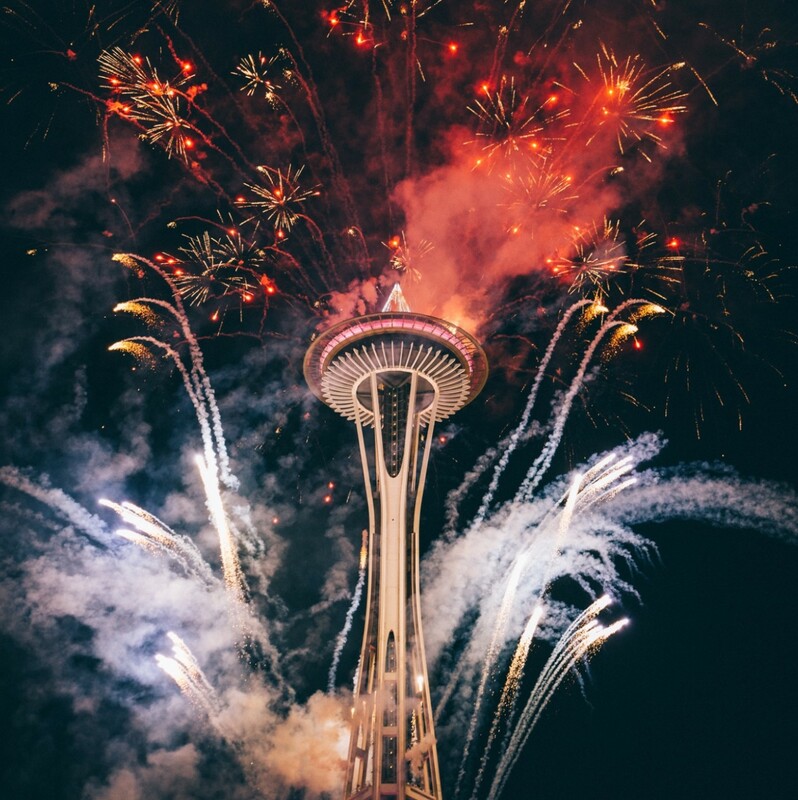 Here is a list of local firework shows to help you celebrate the great U.S. of A! Des Moines – Marina 10:20 p.m.
Kenmore – Log Boom Park 10:00 p. m.
Renton – Coulon Park 10 p.m.
Seattle – Lake Union 10:20 p.m. BIG! Tacoma – Ruston Way 10:10 p.m. BIG! Tukwila – Fort Dent Park 10 p.m. It is that time of year when the sun comes out and the kids need to cool down and get their wiggles out outside. 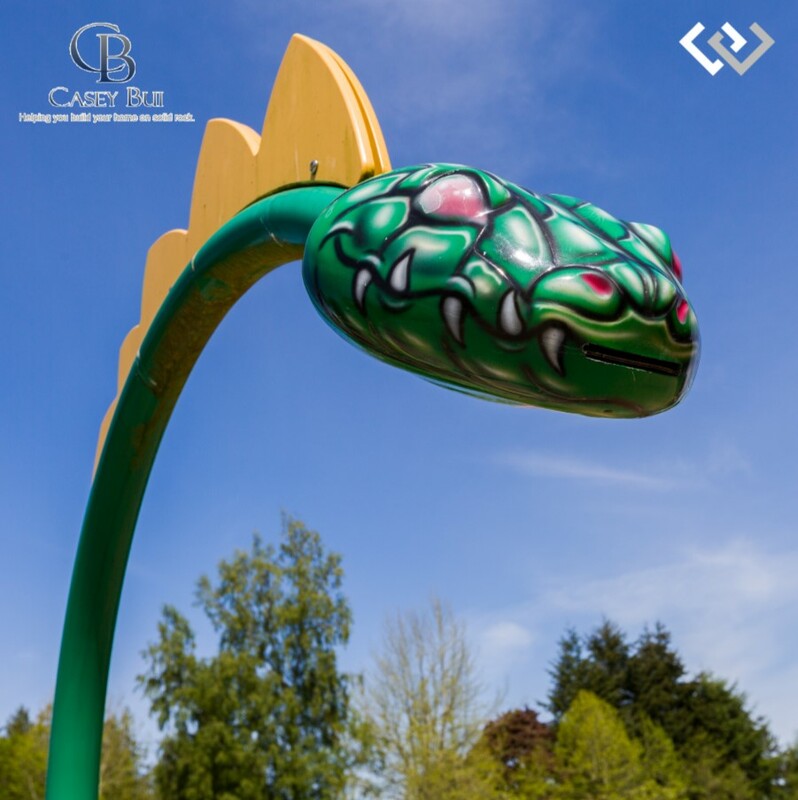 My blog has a list of local splash parks that are sure to beat the summer heat! It is the time of year when our market starts to take off. Spring is here and we are starting to see seasonal increases in inventory. In fact, there was a 54% increase in new listings in March compared to February. That increase was topped by a 58% rise in pending sales, illustrating very strong demand for housing in your area. Last month, the average list-to-sale price ratio (the amount the sale price topped the list price) was 103%, indicating that multiple offers were the norm. We ended the quarter with 0.7 months of inventory – the lowest level yet. More inventory would be absorbed by happy buyers looking for more selection and would help temper price growth, which is up 14% year-over-year. 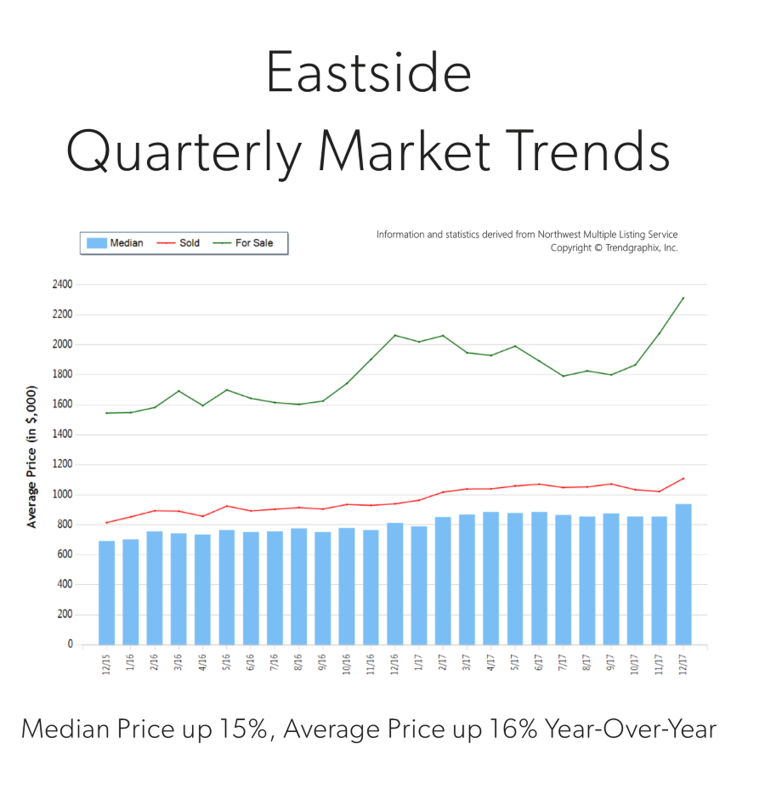 Eastside real estate has a very high premium due to close-in commute times and desirable neighborhoods. In fact, the median price in March was $927,000! Sellers are enjoying amazing returns due to this phenomenon, and buyers are securing mortgages with minor debt service due to low interest rates. This is a very strong seller’s market, but buyers who are securing a home are already enjoying appreciation in equity. 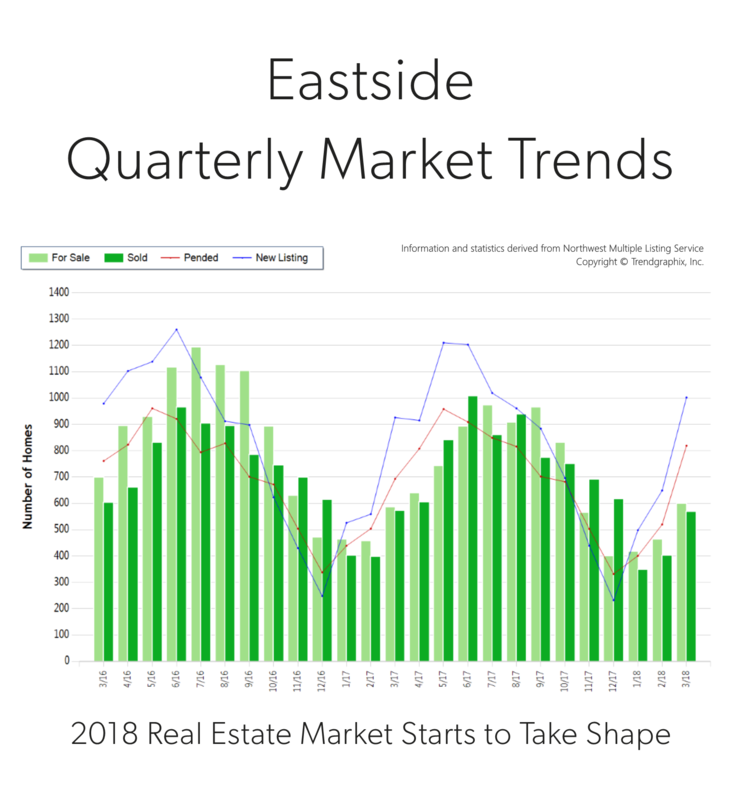 This is only a snapshot of the trends on the Eastside area; please contact me if you would like further explanation of how the latest trends relate to you. Price growth was particularly strong in 2017! Median was up 15% and average price up 16% over 2016. Median price in 2017 landed at $865,000 and the average at $1,049,000. The average amount of days it took to sell a house in 2017 was 24 days, which is 17% faster than 2016. The average list-to-sale price ratio over the last year was 101%, with the spring months as high as 103%! In 2017, inventory growth continued to be a challenge, with a 4% decrease in new listings compared to 2016. Even with inventory limitations there were a near equal amount of sales! This phenomenon illustrates strong buyer demand and a need for more listings. 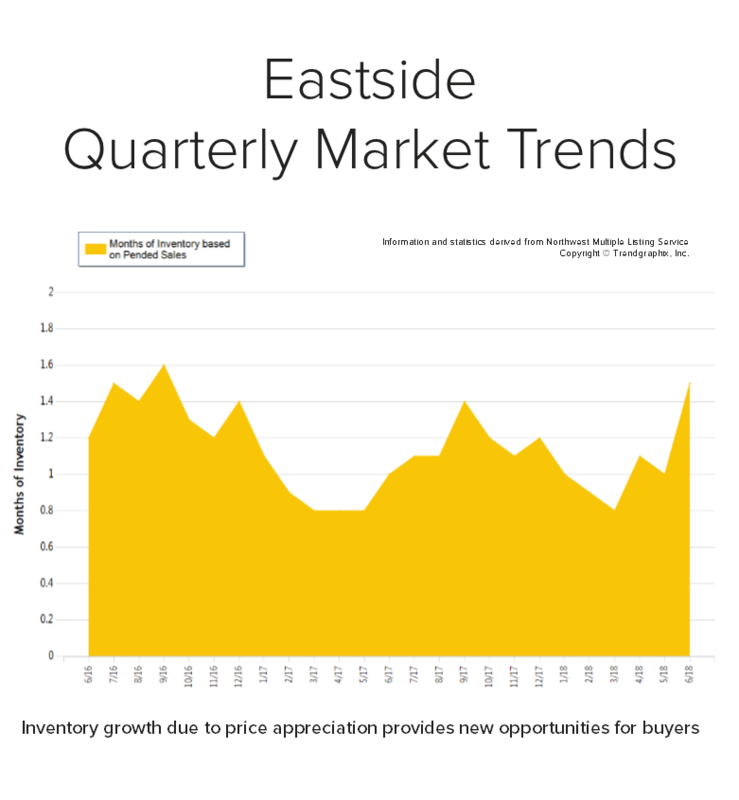 Demand for Eastside real estate has grown due to close proximity to job centers, great schools and quality of life. Over the last year, the Eastside was 70% more expensive than south Snohomish County and 22% over Seattle Metro. Historically low interest rates continue to drive the market as well, they have helped offset the increase in prices. Sellers are enjoying great returns due to this phenomenon and buyers are securing mortgages with minor debt service.